Imagine visiting a photographer’s haven of beauty, history, unlimited options where you are led, inspired and motivated to express your creative self through photography. Welcome to an unforgettable experience through which you will transform and grow into the creative photographer you wanted to be. Thank you for such a great workshop , so well put together by such competent and charismatic instructors. The hosts were excellent, the presentations and tutorials really helped and the location was truly inspiring. I never had to wait for long to get my questions answered or problems solved. Chris and Dennis at times, seemed to appear from nowhere, to help with some question I was having. 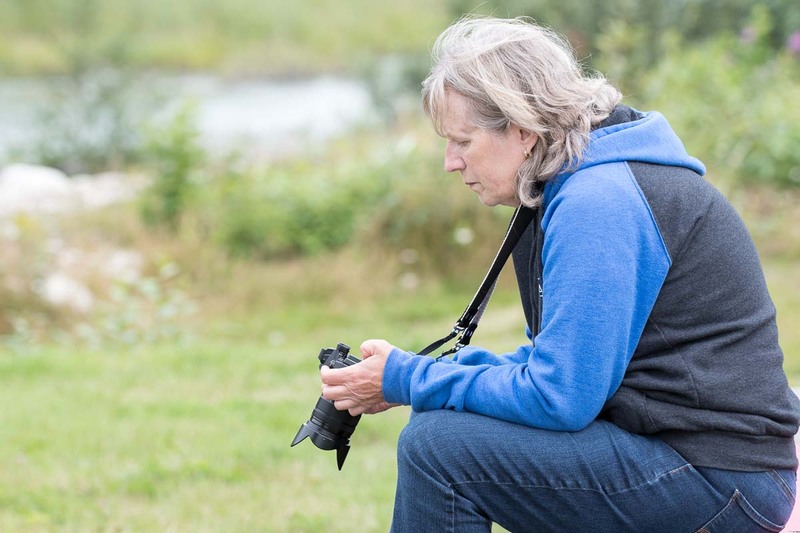 This is a learning experience provided by two master photographers who will freely share their knowledge and experience. You’ll learn some new technical things and you’ll be surrounded by and participate in a creative process. A week at an all-inclusive with a photography workshop thrown in … it doesn’t get any better than this! Even the resident dog aims to please! The workshop is a safe zone to experiment freely to learn and express your artistic photography. It was the best photography workshop experience of my life! Chris and Dennis encouraged us to view scenes beyond what we normally would. They were always available to everyone and constantly offered constructive feedback. I think they worked as hard or harder than the participants and shared not only photographic knowledge but their hearts and lives as well. The facility is very well suited for the course. Weather did not hamper the experience because of the many photo ops available. The hosts were extremely accommodating and cheerful. The way in which Chris and Dennis reinforced each other was very beneficial for all. A place of serenity, with no pressure of trying to fit into a mold. Everyone had their own personal viewpoint which added to the enjoyment. This was an invaluable experience for me. The relaxed, non critical, non competitive atmosphere has restored my enthusiasm in photography. Experience of a lifetime. Excellent combination, Chris and Dennis. You make a dynamic duo! I learned about things I thought I knew. And being in such a diverse, isolated place made the process so much easier. 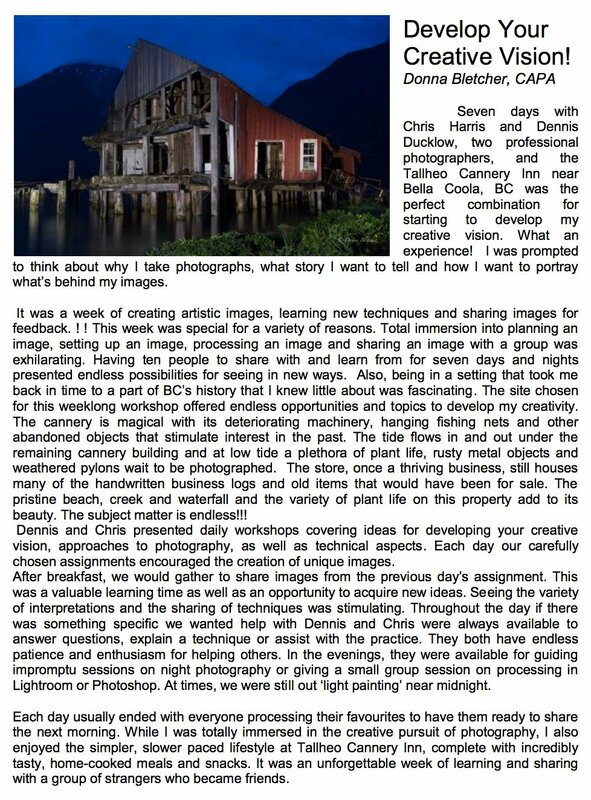 Chris and Dennis are such easy going, knowledgable photographers who are so willing to share. The hosts could not have been better. A must for anyone interested in photography. 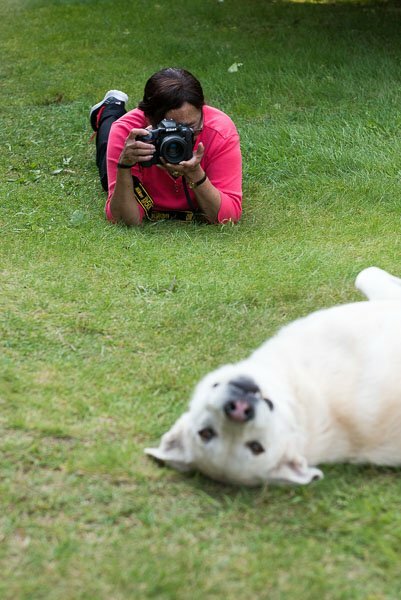 Best photography workshop, ever. Well organized, great instructors, great atmosphere to learn. My eyes are opened to see and work creatively. Chris and Dennis deserve praise for running such a great workshop. I was pushed out of my comfort zone and my imagination was stretched. Dennis & Chris make a wonderful team, balancing each other’s strengths very well. They provide an encouraging and supportive environment while delivering critically important constructive feedback. I throughly enjoyed this week. Not only have I learned from Chris & Dennis but also from the creativity of all the participants. The pace was good, feedback fantastic and venue spectacular. A fantastic, and safe place, to reignite your passion for imagery, and go places with your photography that you likely have never gone. Both of you, in your own personal way, have provided me with an opportunity to examine myself as a visual artist, including my strengths and areas for improvement. I can’t express the gratitude that I have for you both. You make a great team. I went deeper as a photographer than I ever expected. The assigned subjects really challenged me to explore all of the possibilities and techniques you guys were presenting. The more I dug, the more I discovered and I had many “aha moments” while looking at the back of my camera. Read one previous participant’s reflection on her week at Tallheo Cannery, published in the Pacific Zone News.